« Bike lanes on El Camino Real through Menlo Park? Now we’re talking. 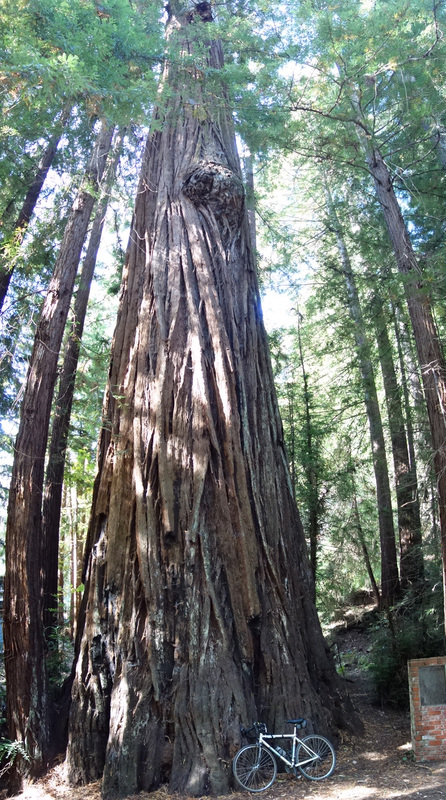 This is an old-growth redwood, Mountain Charlie. 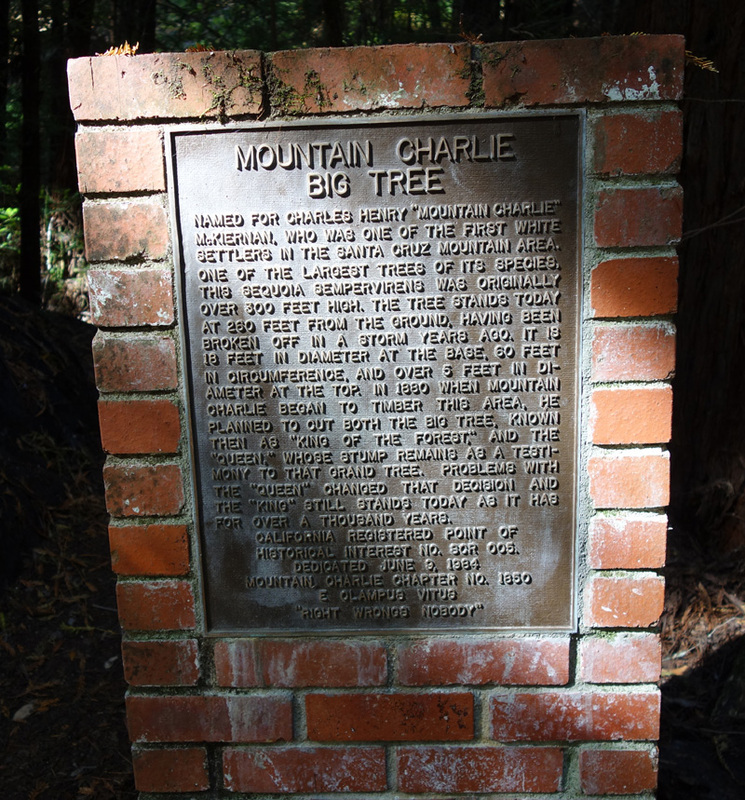 I first read about the Mountain Charlie Tree about 30 years ago in the San Jose Mercury News and now I finally found it. At the time they didn’t want to reveal its location, but it has a state historical marker, so there’s no reason to keep it a secret. A website has all the details on location, as well as where you can find other historical markers about Mountain Charlie. As we all know, Mountain Charlie McKiernan was one of the earliest settlers in the Santa Cruz Mountains and survived a fight with a grizzly bear. We have him to thank for Mountain Charlie Road, which he built himself and opened to the public as a toll road. It has hardly changed, only now quite a few people reside next to the narrow paved road. The tree is located downhill from Mountain Charlie Road just off Glenwood Highway, which as we all know used to be the main route to Santa Cruz from Los Gatos. The plaque next to the tree has all the details. The “Queen” is about 100 feet away. This entry was posted on September 2, 2015 at 1:35 pm and is filed under Ride reports. You can follow any responses to this entry through the RSS 2.0 feed. You can leave a response, or trackback from your own site.